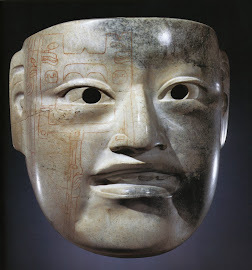 One of the problems facing Book of Mormon archaeology is the fact that the civilizations of the Maya, Aztec and other pre-Columbian cultures were at their zenith many years after the extermination of the Nephites. If we are focusing on the archaeological ruins of these civilizations, they don't seem to fit Book of Mormon history. But I contend that they were not related to the Nephite history, nor were they the work of true Lamanites. 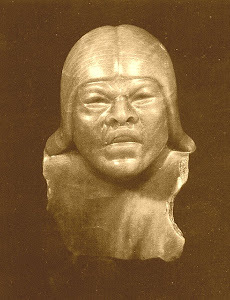 It is my opinion that the early Formative Period or Olmec Era ruins were built by the Jaredite peoples of the Book of Ether, but the later ruins (Maya, etc.) were built by Jaredite remnants (see section on Jaredite remnants below) and others, who followed the Jaredite traditions. I will called these people neo-Jaredites. A neo-Jaredite will be defined as any of those heterogenous groups of people, following the terminal Jaredite wars (about 300 B.C.) who admired, conserved and followed the ancient Jaredite traditions. These traditions are of course the decadent practices characteristic of the terminal Jaredite era at the time of Ether and Coriantumr. These traditions were apparently readily available, whether in writing or by word of mouth, to any who wanted to learn them. The term neo-Jaredite would include Jaredite remnants, their descendants, any Nephites, Mulekites, Lamanites who allied themselves with them, and possibly others such as Asiatics who may have come by boat or across the Bering Strait. The neo-Jaredite traditions included such things as the rites and practices of secret societies, Jaredite architecture, language and writing, measurement of time and calendaring, idolatrous Jaredite religion, naturistic shamanism, the use of jade as a cultural and religious object, human sacrifice, blood oaths and offerings and monarchial forms of government. A major motivation for the continuance of these traditions may have been the involvement of these individuals or groups in the rites and practices of the ancient secret societies (such as the Gadianton Robbers). These ceremonies were of ancient date and had been passed down from the time of Cain. They included oaths (2), blood offerings, secret signs, execution of those who violated these oaths by beheading, gaining power and wealth through assassination, worshiping the god of the underworld (in caves, cenotes, etc. ), etc. The oaths involved swearing by heaven and earth and by ones own head (3Ne.12:33-36; Ether 8:13-14), and were likely sealed by blood. These were the groups often termed “Robbers” in the later chapters of the Book of Mormon (Hel. 2:10; 6:20; 7:4; Morm. 8:9, etc.). They successfully recruited others by flattering them with vanities, encouraging them to become part of their "elite" group, bribing them with their ill gotten gain, or appealing to their greed and lust for power. They felt that their works were “good; and ... of ancient date and they [had] been handed down to [them]” from the ancients. (3Ne.3:9). Once in power, the vain leaders of these societies would memorialize themselves by creating monuments (stelae) extolling their achievements and immortalizing their genealogy. When another more powerful would gain ascendancy, he would deface or destroy the former strong man’s memorials, and build more elaborate structures superimposed over the former ones. For much of their history they existed as numerous competing groups, city states, or small nations, engaging in tribal warfare to gain power over their neighbors thereby plundering their wealth, obtaining slaves for their public work projects, and victims for their sacrificial rites. The pattern appears to be very Asiatic following the earlier Jaredite tradition (3). Occasionally one or the other group would gain supremacy and establish a ruling line, with their feudal subjects supporting them through tribute and conscripted labor. Their influence extended from Northern Mexico to Nicaragua, but was centered in Central and Southern Mexico and Guatemala. Their elaborate ceremonial centers were built to centralize power, legitimize their right to rule, facilitate the collection of tribute and coalesce the population. The religious purposes were probably secondary. I contend that in a nutshell this explains the origin and history of the Maya, Aztec and other such groups. The history of the Aztec (or Mexica as they called themselves) as outlined in the Codex Mendoza (4) is a prime example of this pattern. This codex is a pictoral history of the Aztec nation compiled at the request of the Spanish crown shortly after the conquest. It was written and interpreted by native scribes who were supervised by Spanish friars. In this history the ruling line is established through force of arms, many surrounding communities are subjugated year by year, tribute and manpower are exacted, and those rebelling or opposing the conquerors are punished and often executed. There are even royal assasinations reminiscent of Jaredite history. The only thing not mentioned is the existence of secret societies, but one would hardily expect the native historians to reveal such things. Jaredite Remnants. The existence of what I term neo-Jaredites depends on the survival of Jaredite remnants following Coriantumr's war of extinction. Were there in fact Jaredite survivors? At first this does not seem obvious from a reading of Ether for we read that Ether prophesied to "Coriantumr that, if he would repent, and all his household, the Lord would give unto him his kingdom and spare the people—Otherwise they should be destroyed, and all his household save it were himself. And he should only live to see the fulfilling of the prophecies which had been spoken concerning another people receiving the land for their inheritance; and Coriantumr should receive a burial by them; and every soul should be destroyed save it were Coriantumr." (Ether 13:21.) This prophecy by Ether would not seem to leave any room for Jaredite survivors. But consider what Hugh Nibley has to say about the subject. "What does the Book of Mormon mean by 'destroyed'? The word is to be taken, as are so many other key words in the book, in its primary and original sense: 'to unbuild; to separate violently into its constituent parts; to break up the structure.' To destroy is to wreck the structure, not to annihilate the parts. Thus in 1 Nephi 17:31 we read of Israel in Moses' day that, 'According to his word he did destroy them; and according to his word he did lead them,' bringing them together after they had been 'destroyed,' i.e., scattered, and needed a leader. 'As one generation hath been destroyed among the Jews,' according to 2 Nephi 25:9, 'even so they have been destroyed from generation to generation according to their iniquities.' A complete slaughter of any one generation would of course be the end of their history altogether, but that is not what 'destroyed' means. Of the Jews at Jerusalem Nephi says (1 Nephi 17:43), 'I know that the day must shortly come that they must be destroyed, save only a few.' Later, 'after the Messiah hath arisen from the dead . . . behold, Jerusalem shall be destroyed again' (2 Nephi 25:14). In these two cases what actually happened was that the Jews were all scattered 'save a few only' that remained in the land. The Israelites upon entering the Promised Land, we are told, drove out 'the children of the land, yea, unto the scattering them to destruction' (1 Nephi 17:32). Here it is plainly stated that the destruction of the Canaanites was their scattering—as is known to have been the case. Likewise of the Nephites: 'and after thy seed shall be destroyed, and dwindle in unbelief, and also the seed of thy brethren, behold these things shall be hid up' (1 Nephi 13:35), where both Nephites and Lamanites dwindle in unbelief after they have been destroyed." John A. Tvedtnes on Jaredite remnants: " I have long believed that some Jaredites survived the last great battles of their civilization and that it was the civilization itself that was destroyed, not every single Jaredite. This is evidenced mostly by the existence of Jaredite names in the Nephite population. Ether reported only what he saw; he could not have been everywhere. Some would cite Ether's prophecy in Ether 13:21 as evidence that all the Jaredites except Coriantumr were to be destroyed. However, a careful reading of that verse indicates that it was all of Coriantumr's 'household' that was to be destroyed. We cannot know for sure how many Jaredites may have escaped to other places before or during the last great war. It is not impossible in the scenario painted by Sorenson that some of the people with whom the Lamanites intermarried were Jaredites. This brings us to the question of indigenous peoples with whom the Lamanites may have joined. [We might suppose] that such outsiders would have been mentioned in the Book of Mormon. But since that book was a clan record, it may have deliberately left out mention of peoples not originating in Jerusalem, with the sole exception of the Jaredites, who left a written record that came into the hands of King Mosiah." (2) "The story of the rise and career of any great conqueror is a long catalog of terrible oaths taken and broken. The most solemn of these oaths are sealed by the drinking of blood, as when "the King of the Commains . . . caused the [Emperor of Constantinople] and their people . . . to be blooded, and each drank alternately of the other's blood." The study of the oldest annals of Asia conducts us, as does the study of the oldest languages, into a world of oaths and covenants. And why should this be so? The explanation is simple, for the purpose of the oath is to bind—the Egyptian word for "oath," to give one example, is simply ankh, originally a "knot." In a world of vast open spaces and limited population, where wandering nomads may take independence for themselves by hunting beasts or driving cattle over limitless grasslands, how can men be bound to any spot or leader? They must be tied by oaths, because there is no other way of holding them. Of course every effort was made to render the oath as binding, that is, as terrible, as possible, and of course such oaths were broken whenever convenient. The ease with which men of the steppes can pass from one camp to another has always kept their kings in a state of suspicious alert, so that Asiatic monarchy is at all times enveloped in a stifling—and very Jareditish—atmosphere of suspicion and intrigue." (3) Hugh Nibley comments on the Asiatic model for Jaredite culture, which was not only valid for the Book of Ether era, but for the Neo-Jaredite era as well. "The basic fact is space—vast expanses of grassland, woods, and mountains, where hunters and herdsmen have ranged since time immemorial, trespassing on each other's territory, raiding each other's settlements, stealing each other's cattle, grimly escaping and pursuing each other by turns. ... The result is chronic chaos, a condition which has been a standing challenge to the genius and ambition of men with a talent for leadership. Periodically the Great Man appears in Asia to unite his own jangling tribesmen in fanatical devotion to himself, subdue his neighbors one after another, and finally by crushing a great coalition bring all resistance to an end, and at last bring "peace and order" to the world. The endless expanse of the steppes and the lack of any natural boundaries call for statesmanship in the grand manner, both the concept and techniques of empire being in fact of Asiatic origin. For a time one mind nearly succeeds in ruling the world, but a quick reckoning comes when the Great Man dies. In a wild scramble for the throne among his ambitious relatives the world-empire promptly collapses: Space, the force that produced the super-state, now destroys it by allowing disgruntled and scheming heirs and pretenders to go off by themselves to distant regions and found new states with the hope in time of absorbing all the others and restoring world dominion. The chaos of the steppes is not the primitive disorder of small savage tribes accidentally colliding from time to time in their wanderings. It is rather, and always has been, a shrewd game of chess, played by men of boundless ambition and formidable intellect with mighty armies at their disposal." "Now to return to the Jaredites. Their whole history is the tale of a fierce and unrelenting struggle for power. The book of Ether is a typical ancient chronicle, a military and political history relieved by casual references to the wealth and splendor of kings. You will note that the whole structure of Jaredite history hangs on a succession of strong men, most of them rather terrible figures. Few annals of equal terseness and brevity are freighted with an equal burden of wickedness. The pages of Ether are dark with intrigue and violence, strictly of the Asiatic brand. When a rival for the kingdom is bested, he goes off by himself in the wilderness and bides his time while gathering an "army of outcasts." This is done by "drawing off" men to himself through lavish bestowal of gifts and bribes. The forces thus won are retained by the taking of terrible oaths. When the aspirant to the throne finally becomes strong enough to dispose of his rivals by assassination, revolution, or a pitched battle, the former bandit and outlaw becomes king and has to deal in turn with a new crop of rebels and pretenders. It is exactly as if one were reading Arabshah's grim and depressing Life of Timur, the biography of a typical Asiatic conqueror, with its dark allusions to the supernatural and especially to the works of the devil. It is a strange, savage picture of nightmare politics that the book of Ether paints, but it is historically a profoundly true picture." (4) The Essential Codex Mendoza by Frances Berdan and Patricia Rieff Anawalt. Univ. of Calif. Press. 1997.